The RadClientDataSource control is a server-side ASP.NET AJAX wrapper of the Kendo.UI DataSource component, which could be used for performing various data source operations on the client. It fully supports binding to different kinds of web services and also provides both local and server-side support for sorting, paging, filtering, grouping, and aggregates. With the steps below, we will show how to entirely bind a RadGrid control to a RadClientDataSource declaratively by involving the Design Time of the control. 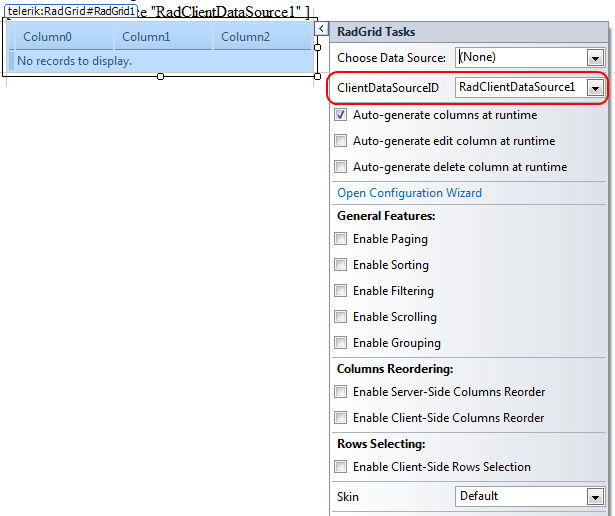 From the Toolbox in Visual Studio, drag a RadClientDataSource and a RadGrid instances to the design surface of your page. Set a WebService using the Url property. 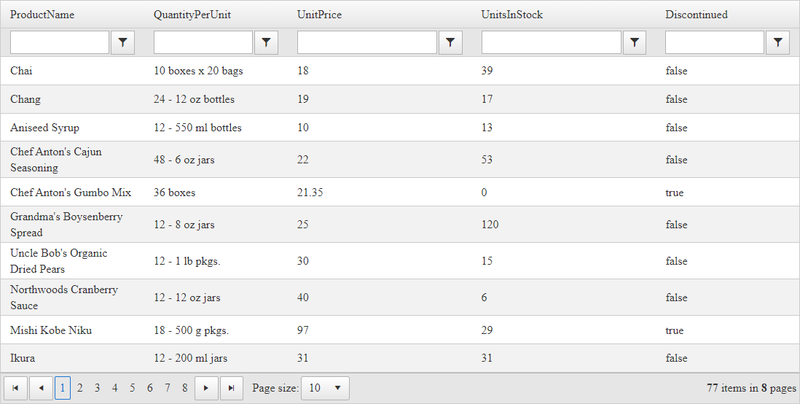 In this example we are using "http://demos.telerik.com/kendo-ui/service/Northwind.svc/Products"
Specify the RadGrid columns, their DataFields and the other required settings like paging, filtering ect. Note that autogenerated columns and Hierarchical structures of RadGrid control are not supported with RadClientDataSource Control binding .